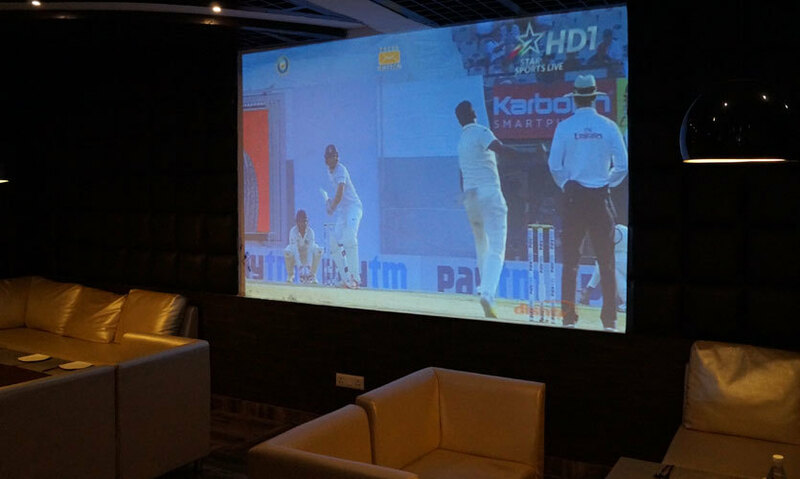 Poised Prettily In Noida, We Checked Into Lawn Bistro To See What All The Fuss Was About! The perfect amount of sunlight and a gentle breeze on the lawn was the scenario when we were asked by the staff what we wanted to devour here. Doing complete justice to its name, Lawn Bistro is a moderately priced café serving amazing food in an astounding environment! Positioned in the heart of a residential property in Noida, it perfectly caters to the needs of various people looking for a place to relax and chit chat in the midst of lush nature. Redefining simplicity, this place is bifurcated into two areas, one being the inner area with humongous seating, and the other being outside. They have three spots on the inside on every corner to ensure that every sizeable group is accommodated. The remaining area is dedicated to regale families and smaller groups. There may be tons of places in the city that offer pretty green environs, but this place triumphs over them all. Sitting on the red and grey themed couches, the essence of nature could be felt in its true sense. With copious greenery around and wide open spaces, bliss just found a new meaning! Among the multifarious starters, this dish is the most sought-after dish of all times! The first glance and the whiff of the dish was enough for us to believe in that fervently. Good things take time and so did this dish. The good thing was that we were informed well in advance about the time taken to put together this masterpiece the moment we ordered it. The first bite made us grin from ear to ear! Three peculiar attributes of this dish were the size of the pieces, the marination of the chicken and the utter softness. Every piece was of substantial size, the marination seemed decent and we could taste the spices till the last bite. It is onerous to maintain the character of the chicken while cooking on the tandoor as it loses its tenderness, but obviously the chef did not have any problems on that front. The pieces were juicy and mushy, and a delight to our taste buds. Just a caution, this dish is spicy, so keep your water bottles handy! 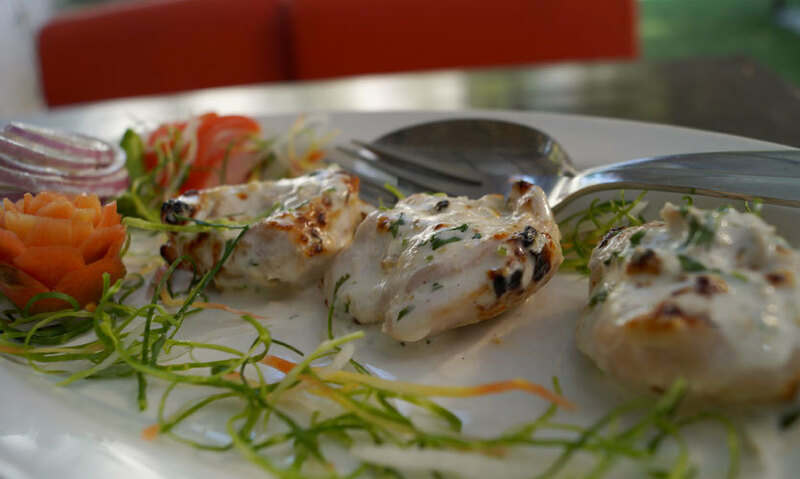 Considering the success of their Murgh Tikka, we went for another variant of it, the non-spicy one Malai Murgh Tikka! 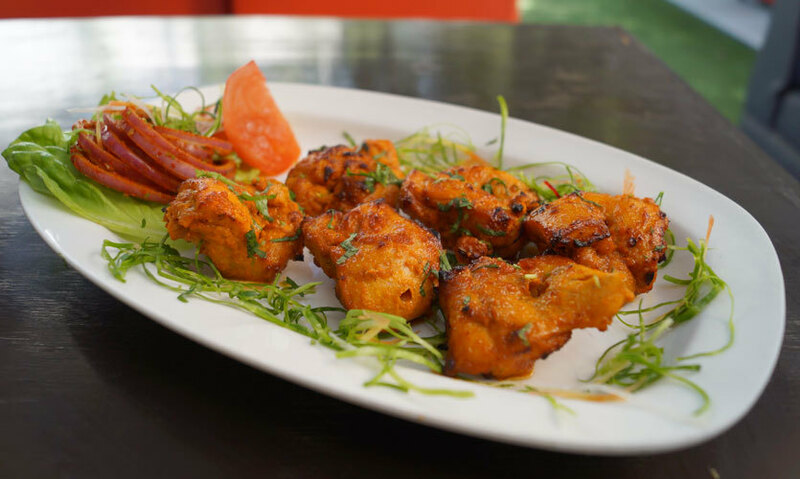 The chicken pieces were marinated and cooked in the tandoor, after which they were stirred in with white cream before being presented to us. This dish took a tad extra time to reach us, but that was all compensated by the quality and scrumptiousness of the food. The marination seemed good and the tenderness of the pieces was also maintained thoroughly, so were happy on that front. However, we felt that stirring in the white sauce could have been done more efficiently. The sauce was partially absorbed by the pieces. Comparing both the variants, this one ranks second for us. Surprisingly, this place is renowned for its Yellow Dal Tadka. Three different types of dals are mixed and cooked together. The main taste which the dal acquires is from the tempering, aka the ‘tadka’! The ‘tadka’ which is applied to your regular dal adds that punch of spice and flavor to it. Similar to how a flambé is added to a preparation in the end, a tadka is added once the regular dal is done. There&apos;s no flame involved of course, just hot oil with zesty seasoning. 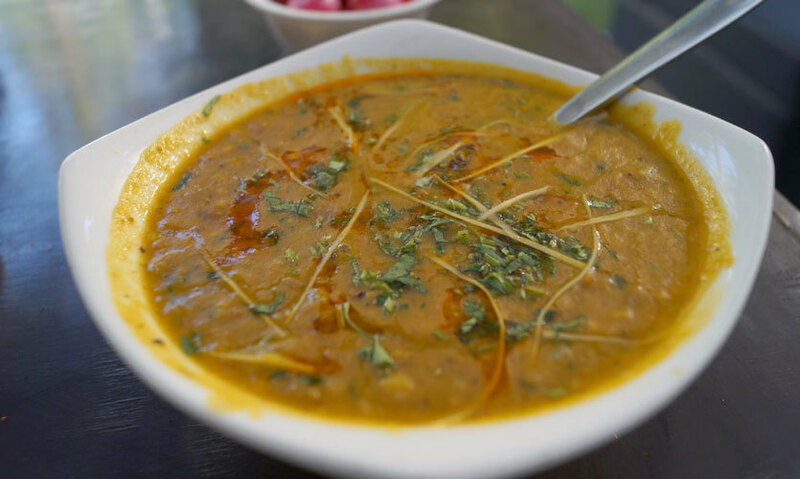 The dal tasted sumptuous, a perfect hint of every spice added was identified by our taste buds, vouching for the taste and flavour for which it is famous. We would recommend you skip their Dal Makhani for a change, and give this item a try! Very few people are able to pull off Indian breads effectively. Lawn Bistro somehow finds it facile! As suggested by the chef, with their Yellow Dal, Missi Roti was ordered. The roti was soft, held a variety of spices and a hint of them were sensed easily. We were also amazed by the quantity served to us! 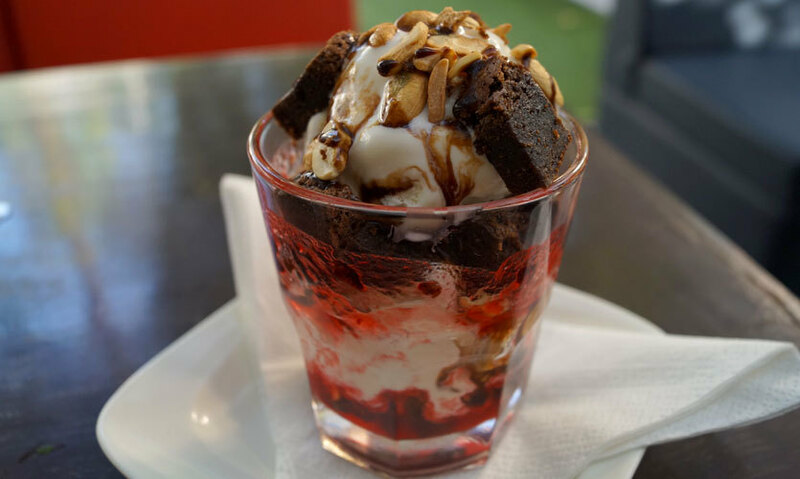 On enquiring about the most sought-after dessert, we received the unhesitating answer - Bistro Sundae. We were astonished by the size of the dessert that was moving towards us. The inside of the glass was greased with syrup. The same syrup formed the base of the desert. It had three scoops of vanilla ice cream filled with nuts and delish pieces of brownies. We were astounded by the quantity of the brownies present in the glass. On top of that, it was garnished with hot chocolate syrup *bliss*. A big glass of sheer happiness was presented before us. Needless to say, we were satiated to the core! We decided to try out the signature cocktail of the place and have no regrets! 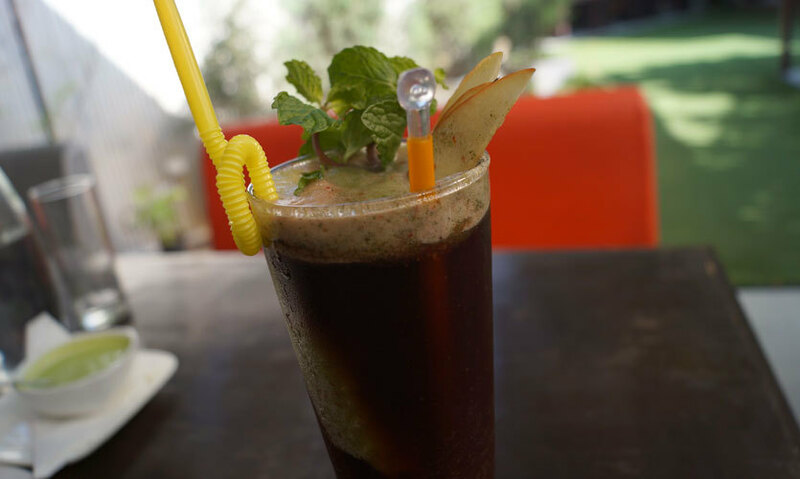 It’s a blend of red wine with apple, mint, rose and coconut. Just to add a hint of flavor, Malibu Rum was used (yay!). The first sip took our senses to a whole different level. Red wine with a hint of rose and coconut after every sip just completed our meal. We were hesitant at first, but this turned out to be a bang on delight! A highly recommended item from the menu to be sure guys. Overall it’s a magnificent place to spend a quiet and relaxing evening. The serenity around will take your minds away from the cobwebs of the day-to-day city life. A small suggestion, do take out your special ones to this place. You can thank us later (wink wink! ).